TME’s offer includes ZUG rail mounted connectors and other accessories from POKÓJ. Electrotechnical Cooperative POKÓJ (Spółdzielnia Elektrotechniczna POKÓJ) is a Polish manufacturer of electrotechnical materials, limit switches, single and multiple pin connectors, and buttons. 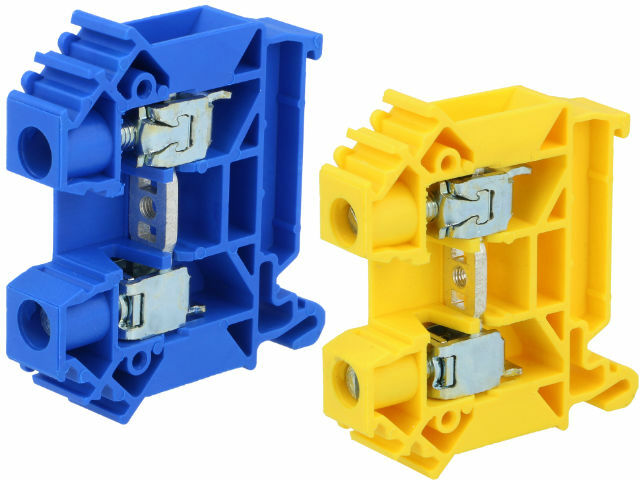 This recently introduced to our catalogue assortment supplements the range of rail mounted connectors, adding popular cable sizes with the cross-section of 2.5...4...6...10mm2. Check the full range of rail mounted connectors and accessories from POKÓJ available at TME.